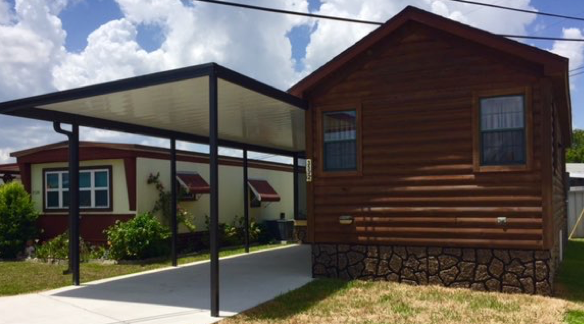 Tropical Trail Village is a 55+ Age-Restricted mobile home community in Merritt Island, Florida. We offer a great value in low cost living with close access to nearby Cape Canaveral, Kennedy Space Center, and Cocoa Beach. There is so much to see and do in our area. The beach is just a short 15 minute drive over the causeway and the Indian and Banana Rivers are even closer. Our area offers splendid dining, shopping, and nearby medical services. Fishing, golf, and great boating areas are nearby. Spend evenings out on the sandy beach picking up shells and enjoying the warm weather. North of our location on Merritt Island are the actual space shuttle and rocket launch pads of Kennedy Space Center. Enjoy seeing the rockets of the past and be here to experience the excitement of thrilling present-day rocket launches. 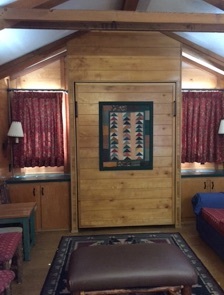 We have a few furnished snowbird cabin rentals in our community. 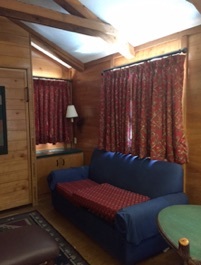 All cabin rentals are strictly non-smoking and no pets. Please call or e-mail our office for current availability. 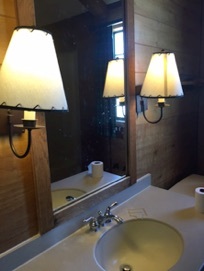 See photos below of our cabins. We have two home purchase opportunities in our community. Right now we have a very nice 2016 re-sale home. This summer we will have a brand new Fleetwood home with carport. When available, please take a look at the photos on our Homes For Sale Page. 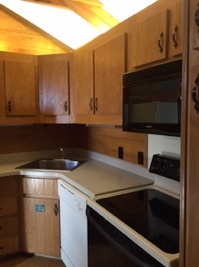 The park features low monthly lot rental rates that include water, sewer, lawn mowing, and trash collection. We are pleased to offer one of the best values in our area for low cost living. Whether you are a seasonal snowbird resident or want to make Merritt Island your year round home, please give us a call at (321) 452-4948. Here are a few examples of home styles and features that may be ordered. Subject to lot size restrictions. Information on this website and pricing is subject to change including for typographical errors. A night launch from nearby Kennedy Space Center lights up the night sky. BONUS! CARPORT & SHED INCLUDED!